I did expect a perfect rating here for Sassafraz but can’t award one. Here are the good, bad and just plain UGLY. Amuse Bouche – Oyster, I have officially fallen in love with Oysters. Well…that may be a bold statement, but if all chefs can pull off this beauty, Oysters have officially made their way into my heart. 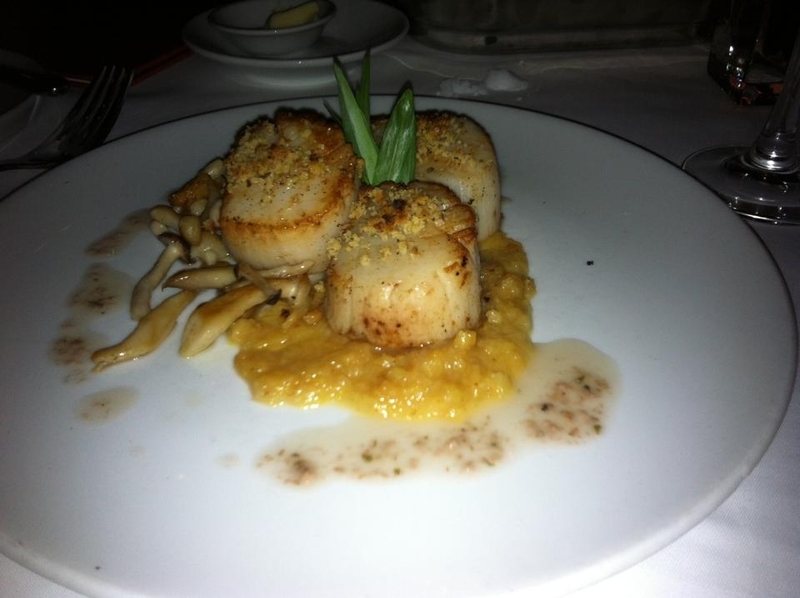 Appetizer – Walnut crusted scallops, sauté honey mushrooms and golden raisin puree, this is where the evening almost took a turn for the worst. Chef Ramsey would have been so upset, he would have yelled his fucken head off…my scallops were undercooked. Which wouldn’t be such an issue for me BUT this was the part of the meal that I was looking forward to the most! I did manage to have one fully cooked scallop and it was super delicious. Kudos’s to the restaurant as soon as my server noticed that I wasn’t eating my scallops someone from the kitchen was at our table asking what they could do to make it better…they brought me another glass of Prosecco (They know how to make this girl happy). Main – Honey and chili glazed prawns with saffron risotto, red pepper emulsion and coriander Cress, this dish was highly recommended from our server and I have to approve. The Prawns where to die for, hot and sweet! Dessert – Lemon trio of popsicle, brulee, and curd cake, all of which where the perfect finish. 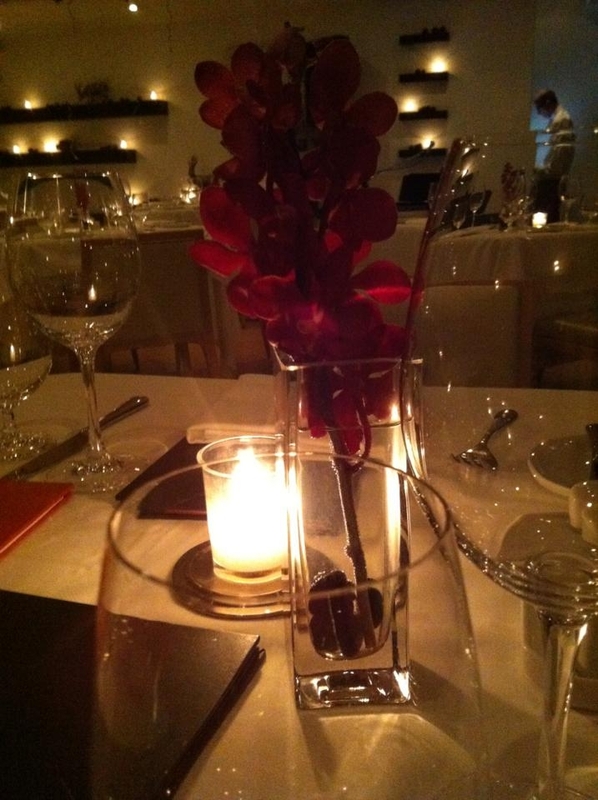 So all in all dinner was almost perfect…The UGLY happened when we left the table. The coat check jammed JJ’s Fedora into the pocket of his jacket! I would expect a restaurant of this caliber would know what to do with a man’s hat?! My jaw almost hit the floor, seriously – WHO DOES THAT? Sassafraz I hope when you read this blog post you will respond. I forgive you for under cooking my scallops, but I can’t forgive the bad manners. A Table for ONE can be Fun!